There is no stopping Amazon’s Alexa and the latest device in which you can access Alexa is the Aquadew waterproof Alexa speaker for those days when you want to sing along to every favorite song of yours in the shower. The Aqua Dew speaker is billed as the first speaker in the world to integrate Alexa voice technology. Now, all you need to do is to say Alexa to have the Alexa genie at your disposal not just in the shower, but near the pool and on all sorts of outdoor adventures where you don’t have to worry about water damage to the speaker. 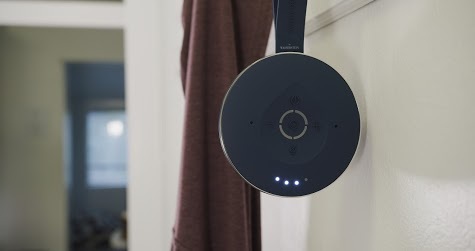 It offers up to 8 hours of sound on one charge, is available in four colors, and comes with a suction cup and mounting plate for attaching the speaker to any surface of your choice. Connectivity is available either through Wifi or through Bluetooth. The stylish design, powerful sound and Bluetooth connectivity make the Aqua Dew speaker the ultimate companion for all your music needs. The idea of a long shower holds out a lot more appeal with the Aquadew waterproof Alexa speaker.